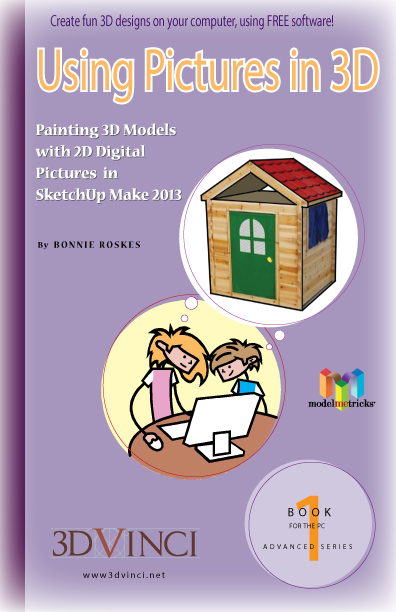 In this first book of the ModelMetricks Advanced series, you’ll learn how to use a single digital picture to paint a 3D model. You’ll learn how to position a picture to fit a model, and how to build a model to fit a picture. You’ll also learn how to use SketchUp’s awesome Match Photo tool, and use pictures with transparent backgrounds. All the pictures you need are available for download. View chapter details. Printable PDF format, 8.5" x 11", 106 pages; download info will be sent within one business day. Buy the 4-book ModelMetricks Advanced Series and save!